Why was the UKNIWM established? As well as being the anniversary of the founding of the Imperial War Museum, today is also an important anniversary for us. Twenty years ago today, the then Director General of the Imperial War Museum, Dr Alan Borg, wrote a letter responding to an article in The Times. The article had pointed out that church sculpture was at risk from vandalism and other threats. The chairman of the Friends of Brompton Cemetery had then suggested the establishment of a national inventory of funerary monuments. Dr Borg, responded with the following letter, published on 5 March 1988. Sir, Mr Bendixson’s plea (February 24) for a national inventory of funerary monuments deserves wide support but there is, I suggest, an even more urgent national requirement for an Inventory of war memorials. Every town and virtually every village in the country has at least one memorial to those who have died in the conflicts of the 20th century. These memorials were erected by the state by local communities, by companies, by schools, by individuals and by other bodies. They are in the care of a similarly diverse range of authorities. Most are well looked after but many are suffering from the ravages of time and pollution, with inscriptions becoming illegible and details of sculpture destroyed. Somewhat surprisingly, there is no inventory of war memorials and hence no way of telling how many require restoration or are in danger of destruction. Various bodies hold partial records, notably the Commonwealth War Graves Commission, the Royal Commission on Historical Monuments, and this museum. However, such records relate to only a small percentage of extant memorials and I have long believed that a national database should be established. The task is finite, manageable and (comparatively) inexpensive; unfortunately, however, it is no one’s responsibility and hence virtually impossible to fund from established sources. Yet if we, after more than 40 years of peace in Europe, allow even a part of our heritage of war memorials to be lost through neglect, we shall rightly be censured by future generations. Dr Borg’s letter clearly struck a chord with The Times readers, for a dozen responses were published over the next two months. Among them was one from Derek Boorman, later to become the author of books about war memorials, and another pointing out that there are war memorials such as hospitals that are not sculpted. Following this enthusiastic response, a meeting of interested organisations was held in June and the UKNIWM was founded as a joint project by the Imperial War Museum and the Royal Commission on Historical Monuments of England. The following year, 1989, the project appointed its first Project Coordinator and work began to record every war memorial in the UK. Dr Alan Borg recently retired as chairman of the UKNIWM charitable company. He must surely be proud of what his letter to The Times twenty years ago initiated. Today is the anniversary of the founding of the Imperial War Museum, 91 years ago today. When the museum was founded, the end of the First World War was still over a year away. From just 15 staff and no permanent premises, the Museum now occupies five sites, attracting over a million visitors annually and employing 650 staff. The Imperial War Museum funds the work of the UKNIWM and we are based at one of its London sites, a short walk from the main museum in Lambeth. This photo shows one of the galleries in 1925, when the museum was based in South Kensington. The room contains models, drawings and photographs and you can see some models of war memorials in the bottom left corner. The museum moved to its present location, in the old Bethlem Hospital in Lambeth in 1936. Opening this month at Imperial War Museum, London, is the first exhibition to tell the full story of Rudyard Kipling’s only son, John, who was reported missing in action at the age of 18 in the Battle of Loos in 1915. Rarely seen items from the Imperial War Museum’s archives will be on display, including John’s last letter to his family. The exhibition coincides with a new ITV1 drama, My Boy Jack, which stars Daniel Radcliffe as John. John Kipling, a Lieutenant in the Irish Guards, is named on Wellington College Roll of Honour. John’s body was never recovered in Rudyard’s lifetime, but in 1992 the Commonwealth War Graves Commission reported that it had located John’s burial place (see CWGC record). However, there remains controversy over whether this identification is correct and if the officer buried there is, in fact, Jack. 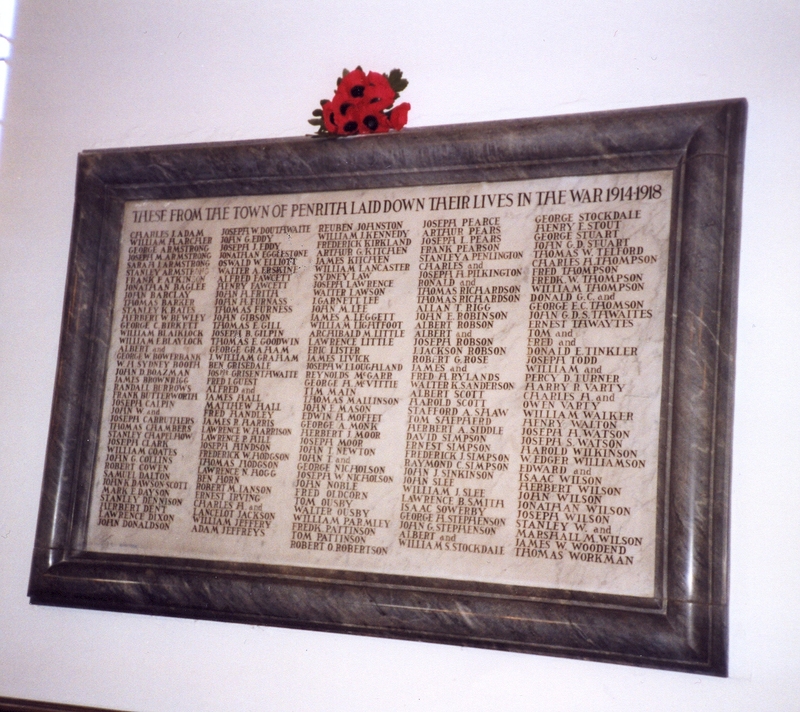 Several verses written by John’s father, Rudyard, were used as inscriptions on war memorials. This includes the well-known phrase, ‘Lest we forget’, popularised by Kipling in his poem, Recessional. Written originally for Queen Victoria’s diamond jubilee in 1897, it came to be used on a great many memorials after the First World War. We current list 649 memorials on our database that include it. Most of the larger memorials and sculptures you see will have begun life as a maquette, or scale model. This enables the architect or artist to refine their ideas and others, such as funders or memorial committees, to approve the design before construction begins on the full-scale memorial. Maquettes can also be used to increase awareness and inspire people when seeking to raise funds to pay for the construction of a new memorial. Sometimes these maquettes survive and they can be very interesting objects in their own right. On display at Imperial War Museum, London, is Lutyens’ original scale model for the Cenotaph. The model is constructed from wood, painted plasticine and tin foil. At Portsmouth City Museum you can see a half-sized maquette of one of the gunners from the City of Portsmouth memorial by the sculptor Charles Sargeant Jagger.